Bill Granger, a household name in his native Australia where he owns three eponymous restaurants (he has a further two in Japan), is no stranger to us here in the UK thanks to abundant airtime on our various cooking channels. Having recently relocated to our shores, there have been rumblings that the Aussie chef has plans for a London offshoot but since that has yet to materialise, what better than to replicate his brand of fresh and uncomplicated food at home? ‘Bill’s Basics’, the latest addition to Granger’s lengthy list of cookbooks, is packed full of no-fuss recipes that call for simple ingredients and minimal effort in the kitchen. Pared-down as they are, the dishes are anything but boring and draw inspiration from various global cuisines that Bill has encountered on his travels, as well as from his family table growing up in Melbourne. The selection ranges from vibrant wholesome salads like the Crisp-Skinned Salmon Salad with Green Goddess Dressing, to more exotic Asian street fare like Laksa and Pad See Ew. 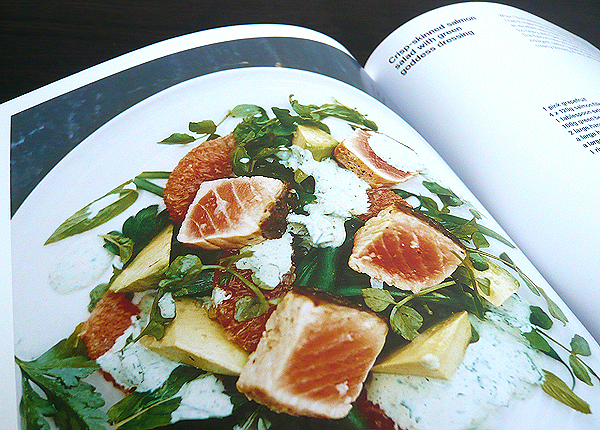 It’s all food you’d want to cook every day – within minutes of receiving my volume I found myself dog-earing just about every single page! However a couple verged on a little too simplistic, an example being the Vegetable Soup that uses store-bought ravioli. Not wanting to judge the recipe at face value, I gave it a whirl. Restorative and soothing as it was, flavour-wise it was bland, lacking depth and pedestrian at best. A Baked Fried Chicken, which seemed promising (fried chicken without the guilt – what’s not to love? ), also lacked flavour and was slightly dry. That being said the majority are keepers, and Bill’s Coq Au Vin, which uses white instead of red wine, was stunning – rich, decadent and utterly divine when eaten with crusty bread and a green salad. It will no doubt be a crowd-pleaser and I have every intention of whipping it up for the next informal gathering at ours. Among the countless recipes I tagged and am awaiting to try, many were from the baking section – a gorgeous blueberry-studded Lemon Drizzle Cake, sugar-dusted wedges of buttery Shortbread and indulgent passionfruit-iced Vanilla Slice, oozing custard. The batch of Pecan Chocolate Chip Cookies I baked were delicious; thin with both crunch and chew (depending how soon you ate them out of the oven). Being a sucker for madeleines, I couldn’t resist making a batch of Bill’s butterscotch ones which turned out light, spongy and reminiscent (in taste) to treacle pudding. Yum. Preheat the oven to 170°C (338°F). Melt the butter in a small pan. Remove from heat and stir in the golden syrup. Leave to cool. Grease a madeleine tray lightly with a little extra melted butter and dust with flour, shaking off the excess. In a large mixing bowl whisk the eggs, sugar and salt until pale and fluffy (about 10 minutes). Sift in the flour and baking powder, then pour in the cooled golden syrup mixture. Gently fold everything together until just combined – be careful not to overwork. Spoon the mixture into the prepared madeleine trays, filling each mould to 2/3. Bake for 8-10 minutes until lightly golden and springy to the touch. Remove from the oven and turn out to cool on a wire rack. Serve while still slightly warm and dusted with icing sugar, if desired. Bill’s Basics by Bill Granger is now available on Amazon (RRP £25). Many thanks to Quadrille Publishing for kindly providing the review copy. ~ by gourmettraveller on October 18, 2010. Madeleines what’s not to love huh? I’ve seen him on the telly a few times and his recipes are very simple, sometimes as you say a little too simple, but all looks good. oh yuuuum! I’m kicking myself that I didn’t buy a madeleine tray in Paris. Slim pickings in Edinburgh. Maybe John Lewis? I’ve been persuaded by that photo to venture out into the cold & rain to look for a tray now! I’ve had my eye on the butterscotch Madeleines in this book – I’m excited to know that they worked out and now I’m even more keen to make them! 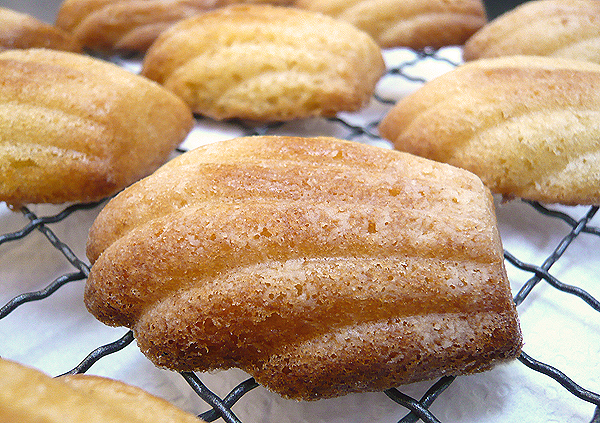 These madeleines looks great! 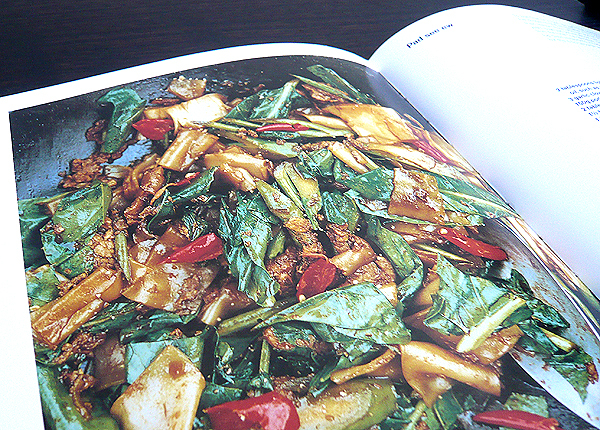 sounds like a great cookbook, and I’ll be on the lookout for it for sure! These look great! You know, I never knew about Bill Granger (I’m Australian) until I moved to London. He is my hero now…most of my recipes in my blog are based on his recipes! Funny you should say that, my Aussie mates always look at me quizzically when I mention Granger and I never heard of him when I lived in Melb either… but then, I was like 8! His restos are all in NSW though so maybe that could be why. 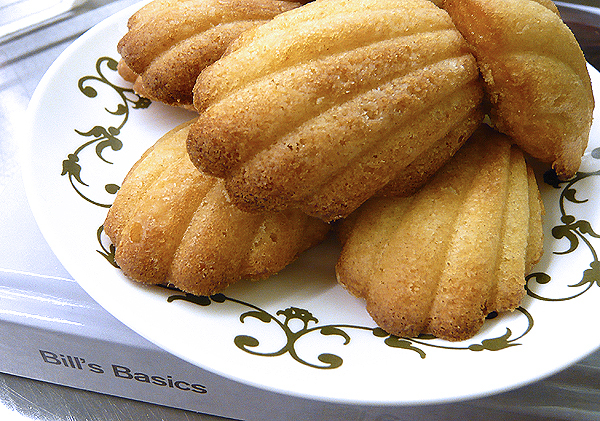 i love madeleines. so far my favorite are chocolate amaretto, but these might make a run for the money on that! chocolate amaretto sounds amazing! 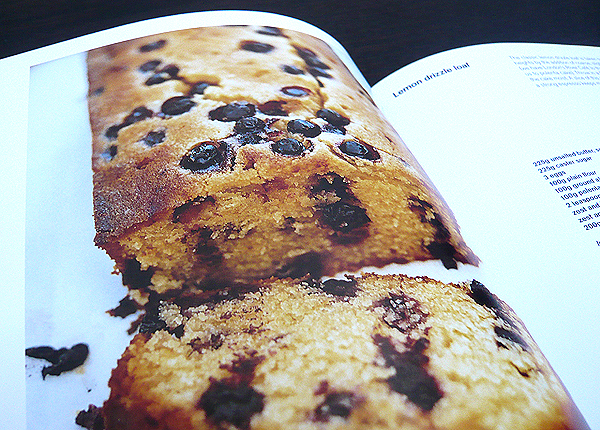 got a recipe?